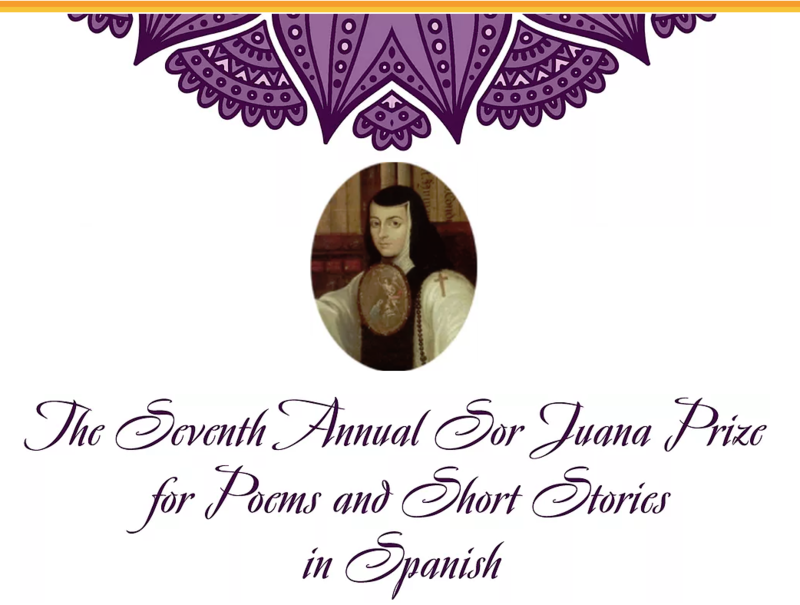 Rock Canyon Poets co-founder, Trish Hopkinson interviewed Fanny Blauer, Board Chair to learn more about the Sor Juana Prize. See the interview and contest guidelines below. HOPKINSON: Tell me a little bit about Sor Juana Prize for Poems and Short Stories. How/why was the contest originally started? BLAUER: The prize is named after Sor Juana Inés de la Cruz, O.S.H. (1651-95), a 17th Century Mexican nun who was one of the most brilliant intellectuals, poets and playwrights of her time and beyond. Sor Juana’s work is consistently taught in schools and universities throughout the Spanish speaking world. You can read more about her and her work here on Poets.org and here on PoetryFoundation.org. In 2018, we partnered with the Community Writing Center to set annual poetry workshops. We also launched our Call for Artist contest in which participants are encouraged to produce a piece of art inspired in poetry. This year, the contest theme is: Our roots, our inspiration. Which is to acknowledge the indigenous languages in the world. BLAUER: Entries by adults and teens in high school who live within the state of Utah will be accepted. BLAUER: Last year we received about 100 submissions of which 20 were only prose. We would like to see more of this. Some of the prose we received was very engaging and powerful. HOPKINSON: What are some of your favorite lit mags/journals/web sites that publish poems/short stories? HOPKINSON: Where can writers/poets send contest entries? The contest is also published in Facebook, twitter, and Instagram. Find us as Artes de Mexico en Utah. The contest is open now until May 20th 2019. The announcement of winners will take place in October 2019. Fanny Blauer is from Mexico City. She is an accountant and works at the Natural History Museum of Utah. Fanny attended many events of Artes de Mexico en Utah and, in the fall of 2014, fomented a partnership between us and the Natural History Museum on an exhibit about chocolate. Prior to joining the board of Artes, she also created a partnership with Artes and Amigos y Libros, a club of the Salt Lake City Public Library that promotes reading in Spanish. She joined the board in winter of 2014. Fanny also serves on the Governance Committee.